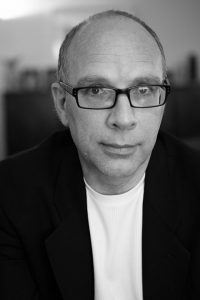 Jay Rosen has been on the journalism faculty at New York University since 1986; from 1999 to 2005 he served as chair of the Department. He lives in New York City. Rosen is the author of PressThink, a weblog about journalism and its ordeals (www.pressthink.org), which he introduced in September 2003. Rosen is a former member of the Wikipedia Advisory Board. From 2010 to 2014 he was on the advisory board of Digital First Media, second largest newspaper company in the U.S. He is also a consultant to Post Media, the largest newspaper company in Canada. In November, 2011 he joined the corporate board of The Gazette Company, based in Cedar Rapids, Iowa. From November 2013 to October of 2014 he was an adviser to First Look Media, founded by Pierre Omidyar. He is currently on the advisory board of the New Republic magazine. In 2008 he was the co-publisher, with Arianna Huffington, of OffTheBus.net, which allowed anyone who was interested to sign up and contribute to campaign coverage for the Huffington Post. In 1999, Yale University Press published his book, What Are Journalists For?, which is about the rise of the civic journalism movement. Rosen wrote and spoke frequently about civic journalism (also called public journalism) over a ten-year period, 1989-99. From 1993 to 1997 he was the director of the Project on Public Life and the Press, funded by the Knight Foundation. In 1994 he was a fellow at the Shorenstein Center on the Press, Politics and Public Policy at Harvard University, and in 1990-91 he held a fellowship at the Gannett Center for Media Studies at Columbia University. A native of Buffalo, NY, Rosen had a very brief career in journalism at the Buffalo Courier-Express before beginning graduate study. He has a Ph.D. from NYU in media studies (1986). You are free to redistribute this bio with the appended HTML across the web.